NOTE: This Submission Call is Closed. Expect Theatre is commissioning original short plays for our Animating Historic Sites project at the Zion School House in North York. 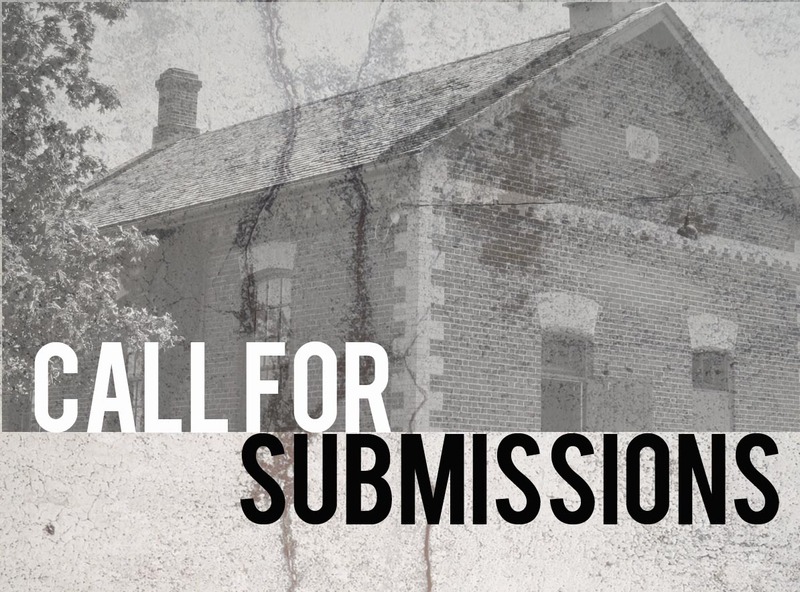 We are looking for proposals from both established and emerging Toronto writers. Writers from diverse backgrounds are encouraged to apply. Plays will be performed and recorded at the Zion School House in front of a live audience in April 2017, and will also be featured on the PlayME Past Series. We are awarding 3 commissions. Successful applicants will receive a commissioning fee of $1500. The piece will be recorded as an audio podcast, so think about compelling sounds and ways of communicating the story through audio. *Applicants can submit more than one play proposal. Before submitting please take a moment to familiarize yourself with past episodes of PlayME from CBC Podcasts. Please email submissions Chris Tolley and Laura Mullin at info@expect.org. Deadline for submission is January 25 at 5pm. Results will be announced in early February 2017. (Optional) Feel free to us any of the following historical information to help acquaint yourself to the era. That said, let your imagination run wild and propose something that is both engaging and compelling. The Schoolhouse is restored to 1910, before there was a basement or electricity in the building. The Historic Zion Schoolhouse did not have electric lights until the mid 1930’s. Evening events would probably rely on oil lamps borrowed from the neighbouring farms and set on the window ledges. Schooling was compulsory by 1910 and children ranging in age from 6 to 14 were required to attend. At Zion younger children outnumbered older children. Families that relied on the labour of their children to run the farm would remove them from school at busy times of the year – like planting and harvest. More affluent families could afford servants to perform domestic work, and hired men to do the outdoor labour on the farm. High School education was optional. Students were required to write a High School Entrance examination, and in many cases going to High School meant boarding with another family in “town”, as commuting daily to school was not practical. Students generally walked from their neighbouring farms, and would have chores to do at home before and after school. The students in attendance at Zion in 1911 were all born in Canada, in many cases their parents were also born in Canada. Farming was the main occupation, and the same family names repeat on the maps of the landowners as there are two generations of the same family farming close by. The area was still open farmland in 1955 when the school was closed. The closure was due to the introduction of school buses to collect students from the end of the farm lane and transport them to a larger multi grade school. Nelson Starling from S.S. No 12, Zion School won the individual championship at the North York town ship school’s fair held in Willowdale in 1921. His individual ribbons included Barley sheaf, Wheat, and Sheaf of oats. He was pictured in the Toronto Star on September 21, 1929 with his teacher Miss Elsie Lemon. School Fairs were an opportunity for students at rural schools to display their agricultural, and domestic skills. Other categories of competition include drawing, small livestock, vegetables and fruit, dressed dolls, tea towels, baking, oratory, and mouth organ …. The fair was also an opportunity to visit other schools and meet students from other neighbourhoods. Photos and photocopied newspaper clippings in the Zion collection show a dance held in the Schoolhouse in 1945. The music was provided by the Harvey Miller Orchestra from Sharon. Musical instruments include banjo, fiddle, and open faced piano. The &quot;caller&quot; was Delmer Kidd. The reported from the Star decried the use of a microphone for calling the dances. Tunes included “The Crooked Stovepipe”, and “Darling Nellie Grey”. Attendees at the dance included men in uniform, and the older couple responsible for organizing the dances. Mr. Herdman shown in the pictures, and described as the chairman of the committee in charge of the dances was also a School Board official. A teacher’s reputation in the community, and their future employment could depend on the annual public Christmas Concert. Students would recite, sing, march in time to music and perform skits for the entertainment of their parents and neighbours. A former Zion student who visited the Schoolhouse in December 2016 remembered a School Christmas Concert where Mr. Green who had a chicken farm at Finch and Bayview strapped their family piano onto a sleigh to transport it to the schoolhouse. Former students and teachers gathered at a social evening. Former teacher Miss Poole -Mrs. Grey by the time of the ceremony had the honour of turning on the lights. Literary, Social and Debating Societies This is one possible use of the schoolhouse space by the community. The school in Bluevale Ontario, near Stratford formed such a society around 1912 and followed the following scheme.